Why did Romania’s Social Democratic Party (PSD) bring down its own government last week? The surprising answer, said Reinhard Veser in the Frankfurter Allgemeine Zeitung (Germany), is that it wasn’t crooked enough for them. 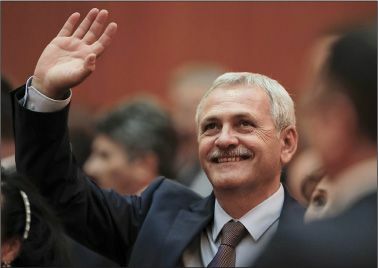 Since the party returned to power in December—a year after a major anticorruption campaign forced the PSD’s last prime minister from office—it has doggedly attempted “to stop or at least undermine the fight against corruption.” Party leader Liviu Dragnea was barred from becoming prime minister because of a 2015 conviction for vote rigging and an ongoing trial for abuse of public office. So the PSD’s first act in January was to pass a law waiving all penalties for corruption involving amounts less than $50,000, which would have absolved Dragnea and many other party bigwigs. That get-out-of-jail-free card prompted “the biggest protests since the 1989 fall of communism,” as tens of thousands of Romanians demonstrated in sub-freezing temperatures, and the party was forced to reverse itself. But Dragnea now apparently fears that the legal machinations he has used to delay his prison time are running out and “he may actually go behind bars,” so he wants a new cabinet to try again to loosen corruption laws. Dragnea’s strategy hasn’t exactly gone according to plan, said Silviu Sergiu in Romania Libera (Romania). Sorin Grindeanu, the prime minister appointed in January expressly to be Dragnea’s puppet, refused to step down so the new cabinet could be appointed. Grindeanu was finally ousted last week after a parliamentary vote of no confidence—organized by his own PSD. President Klaus Iohannis, who sees himself as a defender of the constitution, has now appointed the outgoing economy minister, Mihai Tudose, as prime minister. Tudose was nominated by Dragnea, so another attempt at changing the corruption laws is likely imminent.